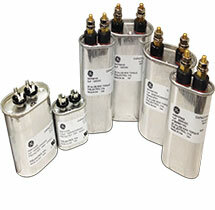 Capacitors for power electronics require special high performance designs for varied applications. This catalog describes capacitors for a number of demanding applications where high currents and/ or high voltages are common. Given the special nature of these types of applications, care must be taken to ensure that the capacitors are correctly applied. Information is included to help with the more common application conditions. An application data sheet is also provided to enlist the help of GE’s Application Engineers. Please use this sheet if you need assistance or want to verify your own calculations.